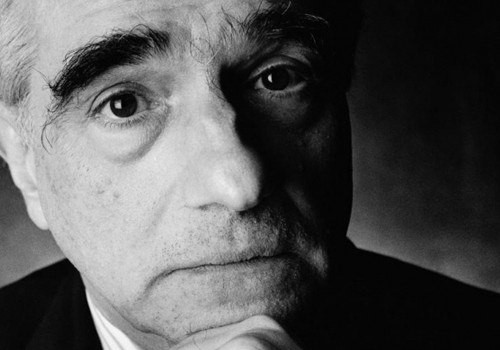 Martin Scorsese’s fascination with religion started at a very early age. His Catholic upbringing in Little Italy is well documented (1). Young Marty was not just going through the motions: this former altar boy seriously contemplated a career in the clergy. In the end, he chose cinema over a soutane. But religion in general and Catholicism in particular stayed with him. His films are infused with Catholic iconography, his mise-en-scène is often informed by his religion’s rituals. What made you move toward religion? Christian iconography is ubiquitous in Scorsese’s movies. There’s hardly a wall without a religious painting, hardly an Italian American character without a cross necklace. Bible quotes, crosses and Christ are used as inspiration for tattoos. These explicit references are the easiest to spot, but there’s a lot more. Scorsese’s scenes often play out as if they are religious ceremonies, or they refer to famous Bible passages. Whispered conversations in secluded rooms, evoking the intimacy of confession. Kissing and washing feet. The reference to stigmata in both Taxi Driver and Cape Fear. The crucifixion in Boxcar Bertha. In his movies, Scorsese uses the theatricality of Catholic rituals to great effect. 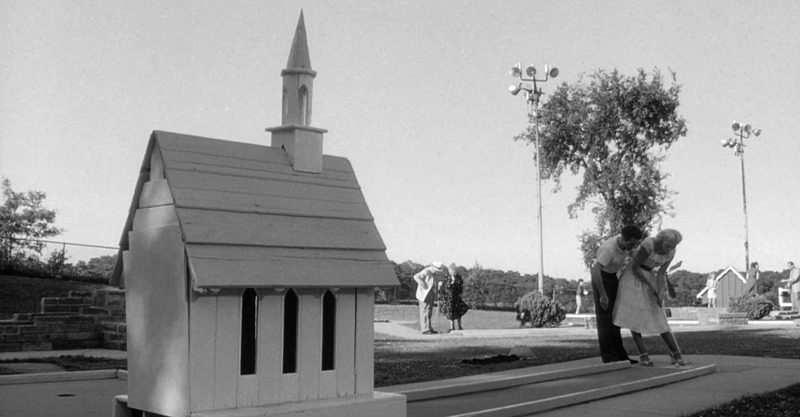 His mise-en-scène too is inspired by Christian imagery. The bright shafts of light in Bringing Out the Dead call to mind the beams that accompanied the Holy Spirit in the religious paintings of the Renaissance. And how many times have we seen a Scorsese character pose triumphantly, his arms stretched wide: a modern messiah who greets his secular flock. The religious references in Scorsese’s movies are as omnipresent as the Biblical God. Making a video essay on this subject is first and foremost a matter of selection, or one would end up with a feature length montage. For the rest, one could do it with closed eyes. And folded hands. On bended knee. (1) Casillo, Robert. Gangster Priest: The Italian American Cinema of Martin Scorsese. Toronto ; Buffalo: University of Toronto Press, 2006. (2) Monda, Antonio. Do You Believe? Conversations on God and Religion. New York: Vintage Books, 2007. (3) Whether this change of fortune is imaginary or not is open to debate, most certainly in the case of Taxi Driver. Who’s That Knocking at My Door [feature film] Dir. Martin Scorsese. Trimod Films, USA, 1967. 90 mins. Boxcar Bertha [feature film] Dir. Martin Scorsese. American International Pictures, USA, 1972. 88 mins. Mean Streets [feature film] Dir. Martin Scorsese. Taplin – Perry – Scorsese Productions et al., USA, 1973. 112 mins. Taxi Driver [feature film] Dir. Martin Scorsese. Columbia Pictures Corporation et al., USA, 1976. 113 mins. Raging Bull [feature film] Dir. Martin Scorsese. Chartoff-Winkler Productions et al., USA, 1980. 129 mins. The King of Comedy [feature film] Dir. Martin Scorsese. Embassy International Pictures et al., USA, 1982. 109 mins. After Hours [feature film] Dir. Martin Scorsese. The Geffen Company et al., USA, 1985. 97 mins. Goodfellas [feature film] Dir. Martin Scorsese. Warner Bros., USA, 1990. 146 mins. Cape Fear [feature film] Dir. Martin Scorsese. Cappa Films et al., USA, 1991. 128 mins. The Age of Innocence [feature film] Dir. Martin Scorsese. Cappa Production et al., USA, 1993. 139 mins. Bringing Out the Dead [feature film] Dir. Martin Scorsese. Cappa Production et al., USA, 1999. 121 mins. Gangs of New York [feature film] Dir. Martin Scorsese. Miramax et al., USA et al., 2002. 167 mins. The Aviator [feature film] Dir. Martin Scorsese. Appian Way et al., USA et al., 2004. 170 mins. The Departed [feature film] Dir. Martin Scorsese. Plan B Entertainment et al., USA et al., 2006. 151 mins. Shutter Island [feature film] Dir. Martin Scorsese. Phoenix Pictures et al., USA, 2010. 138 mins. Hugo [feature film] Dir. Martin Scorsese. GK Films et al., USA, 2011. 126 mins. The Wolf of Wall Street Official Trailer [feature film trailer] Dir. Martin Scorsese. Appian Way et al., USA, 2013. 2 mins 12 secs. ‘Erbarme dich, mein Gott’ from The St Matthew Passion [music track, online download] Comp. Johann Sebastian Bach, Perf. Spb_Orchestra. Audiojungle, n.k., 2013. 7 mins 34 secs.